Are you coming to Social Media Marketing World on April 17th-19th? Why not stay one extra day and attend this deep-dive Facebook marketing workshop with me and my team of professionals. Find out more here. If you don’t yet have your ticket to Social Media Marketing World, come join 3,000 fellow business owners, professionals and marketers and learn from over 100 industry professionals! Learn how to grow your business by integrating these 7 Facebook trends. Watch this highly informative and helpful free online training. Well, for the first time ever, I’ve put together a powerful combination package designed to support you for the entire year: 2016 ‘BLAST-OFF YOUR BUSINESS’ PACKAGE DEAL! This brand new program is designed to help you increase your reach, leads, sales and profits on Facebook… and take your business to the next level in 2016! First, I’m leading my popular Facebook Business Breakthroughs online training course with all new updated content. It’s a six-part live online training, starting on February 16th. PLUS, included in the package deal is a full ONE YEAR membership in my Inner Circle to make sure you get the ongoing support you need. I’ve never offered this before at such a low rate. The Inner Circle is an extremely affordable and effective way to ensure you stay current with your Facebook and social media marketing strategies and tactics. I’d love to help you grow your business throughout 2016 and beyond with proven Facebook marketing techniques and best practices for successful online relationship marketing. Mari is a prolific writer and highly sought after content creator for major blogs, events, webinars and corporations. As a thought leader in the industry, companies look to Mari for her insightful commentary and insider tips on creating success with social media marketing, particularly Facebook. 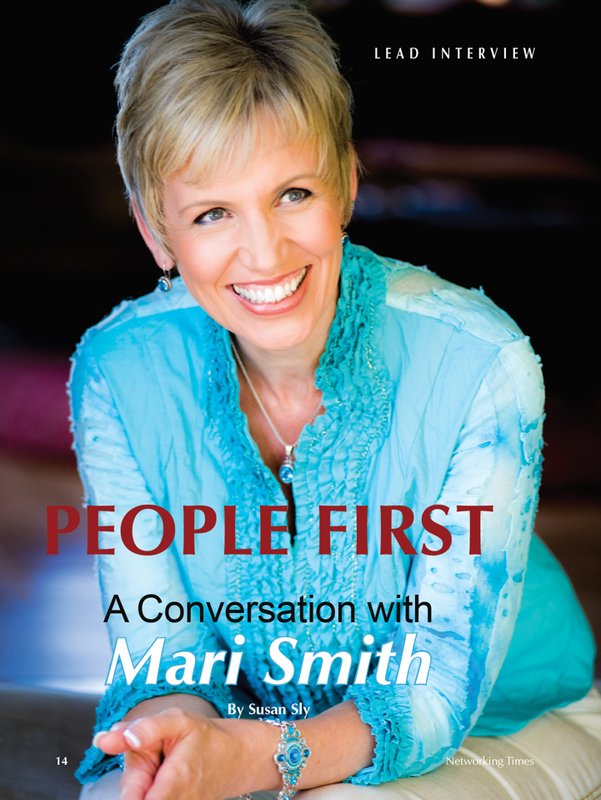 With her personable leadership style and dynamic stage presence, Mari is frequently rated among the top speakers and trainers. Mari creates in-depth Facebook and social media marketing content—in written, video and visual formats—for major companies such as SocialMediaExaminer.com, Adobe, Business.com, and Animoto. 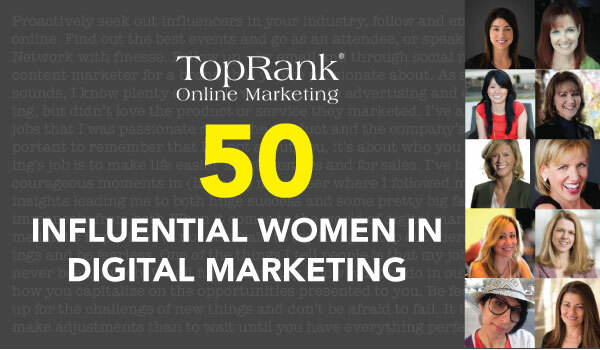 This wonderful roundup of women influencers by TopRank is one of my absolute favorite lists to be on. What an honor to be listed in spot #1 alongside some of the best marketing minds in the corporate world. There are so many fabulous major brands represented here, including Nike, Microsoft, Kodak, Dell, LinkedIn, Whole Foods Market, Qualcomm, 3M, Oracle, U.S. Bank, Xerox and many more. Over the last several years, digital marketing has become an essential part of every successful business — regardless of that business’ size. As a result, there are now thousands of industry experts who are more than willing to share their knowledge. But which experts stand out and have proven themselves to be leading authority figures? Facebook hires Mari to lead educational business events! 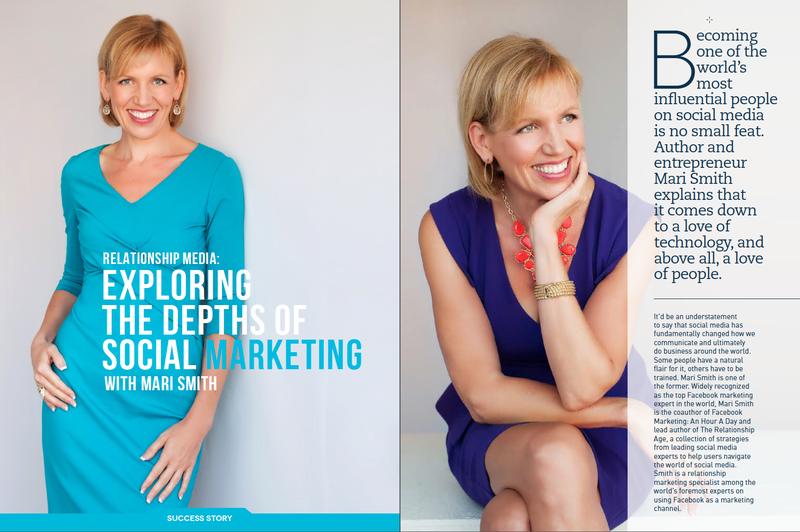 Often referred to as “the Queen of Facebook”, Mari Smith is hailed as the premier Facebook marketing expert and one of the most influential and knowledgeable new media thought leaders in the world. 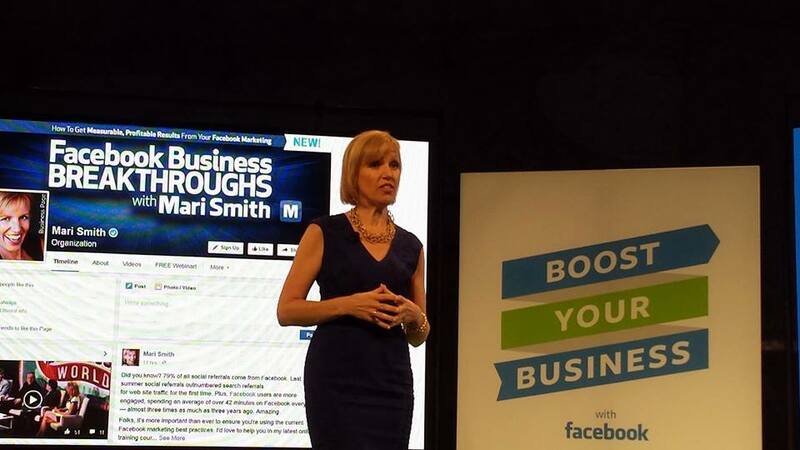 In 2015, Facebook partnered with Mari to facilitate and teach at Facebook’s Boost Your Business series of live half-day training events across the United States. 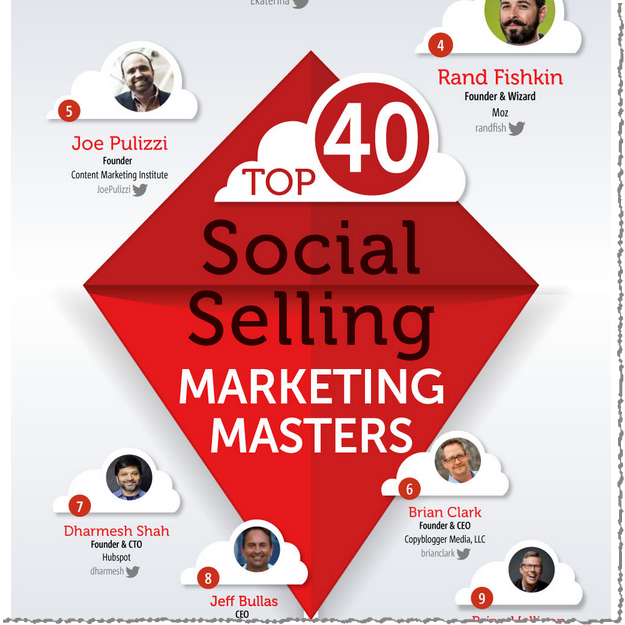 From among more than 500 social sales experts, these are the 40 most influential marketers who clearly understand how to use social media and the vast amount of available data to influence the buyer’s decision making process. Mari is thrilled to be one of Business.com’s top Marketing Experts, contributing regular Facebook marketing posts. We are also teaming up to produce a series of short video tips, answering the most pressing Facebook marketing questions from our online community. Stay tuned for Business.com “Mari Minute” video series coming early 2016. 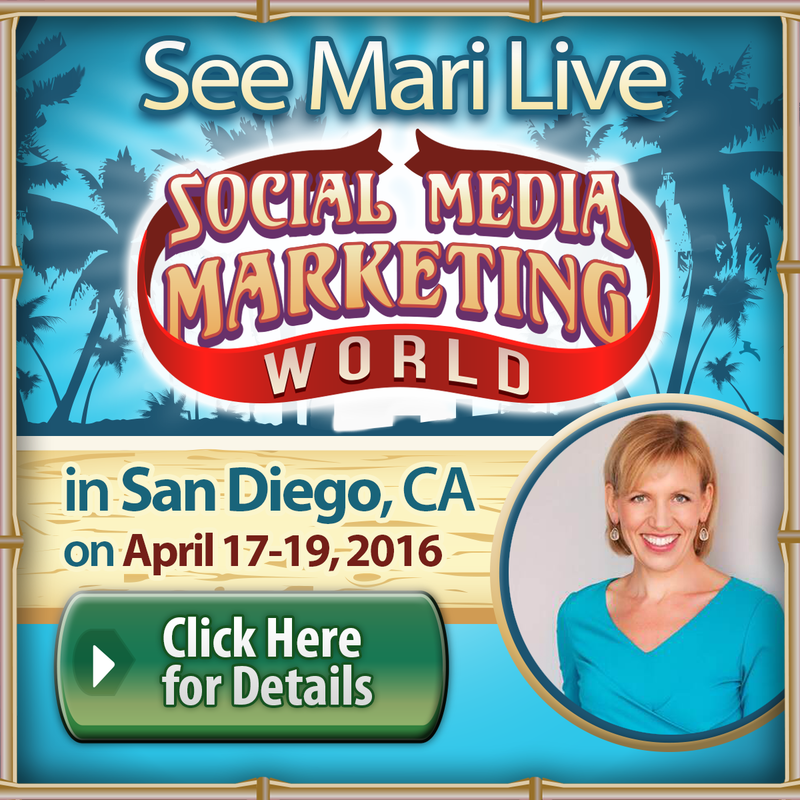 Meet Mari in San Diego, California at SOCIAL MEDIA MARKETING WORLD 2016! Mari is among the top speakers for the third year in a row at the world’s largest social media conference. 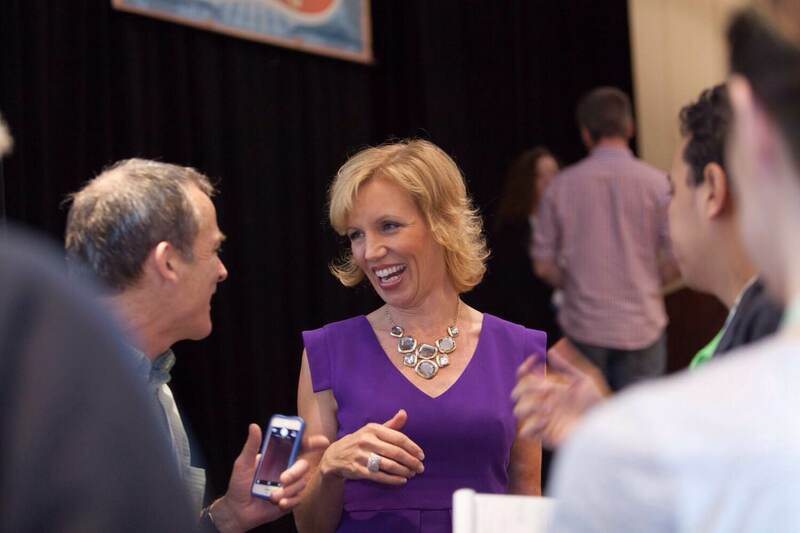 PLUS, attend Mari’s Facebook Marketing Workshop the day following SMMW16… for free! Find out how. Excellent tips here! Mari teamed up with course creation/marketing expert and founder of Create 6 Figure Courses®, Jeanine Blackwell to compile these practical tips for filling your next online course or live event. 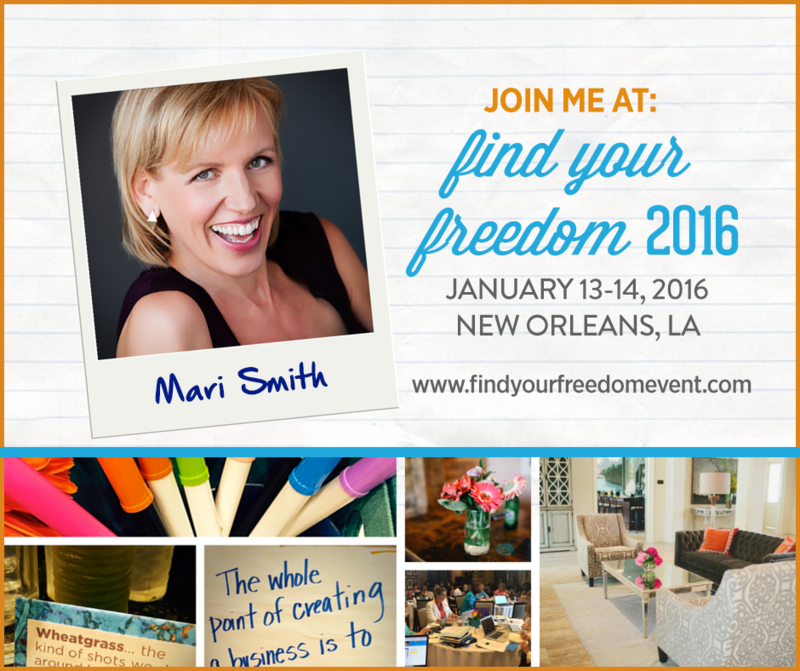 Come meet Mari and Jeanine in New Orleans, January 13th-14th, 2016 at FIND YOUR FREEDOM 2016. Mari and her team work with forward-thinking, socially conscious companies of various sizes to help grow their businesses through the power of social media, integrated with all forms of digital and offline marketing. Mari travels and speaks at major events, often sharing the stage with notable celebrities and thought leaders. Mari also leads regular free Facebook marketing webinars and offers numerous online training courses. She is author of The New Relationship Marketing and coauthor of Facebook Marketing: An Hour A Day. See Mari’s speaking services, training programs, blog and media inquiries. Download the PDF of the full Networking Times Magazine feature article. Read the article highlights and listen to the podcast. Download the free PDF of the full article. You don’t have to be famous to exert great influence. What you do need is passion. These 25 passionate Southern Californians are changing the way residents live, learn and connect to their community. Whether it’s providing an opportunity for the arts to thrive, an education for children in need or a calming voice in the storm, these influencers have improved their industry, their hometown and our world. 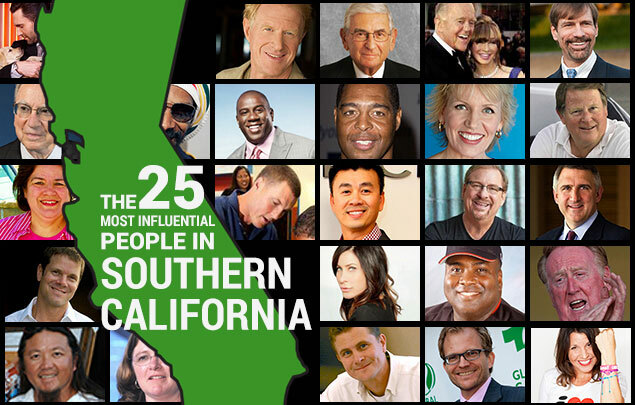 Listed in no particular order, what these 25 individuals have in common is that they each make Southern California a better place to live and inspire us to do the same. Woweeee, my life is complete. I’m on a top influencers list with the one-and-only +Adam Levine!! heheee! Thanks a mil to MyLife.com for the kind inclusion.